Alex Rodriguez put any lingering doubts about his postseason performances to rest with his exceptional 2009 playoffs and World Series with the New York Yankees. While helping lead the Yankees to their 27th World Series title, Rodriguez batted .365 with six home runs and 18 RBI in 15 total games as the Bombers knocked off the Minnesota Twins, Los Angeles Angels and Philadelphia Phillies en route to the ultimate prize. A-Rod used this Louisville Slugger C271L model bat during his magical 2009 postseason run. 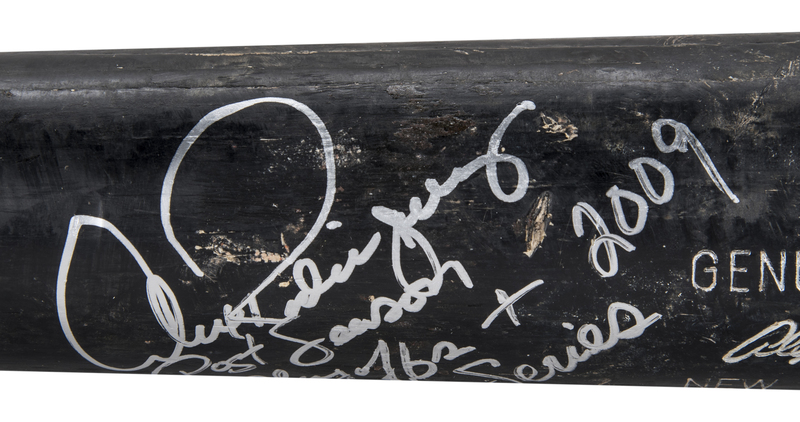 This bat displays heavy game use and is un-cracked. The barrel is covered with ball marks, numerous cleat imprints and displays checking or grain swelling from repeated ball contact. 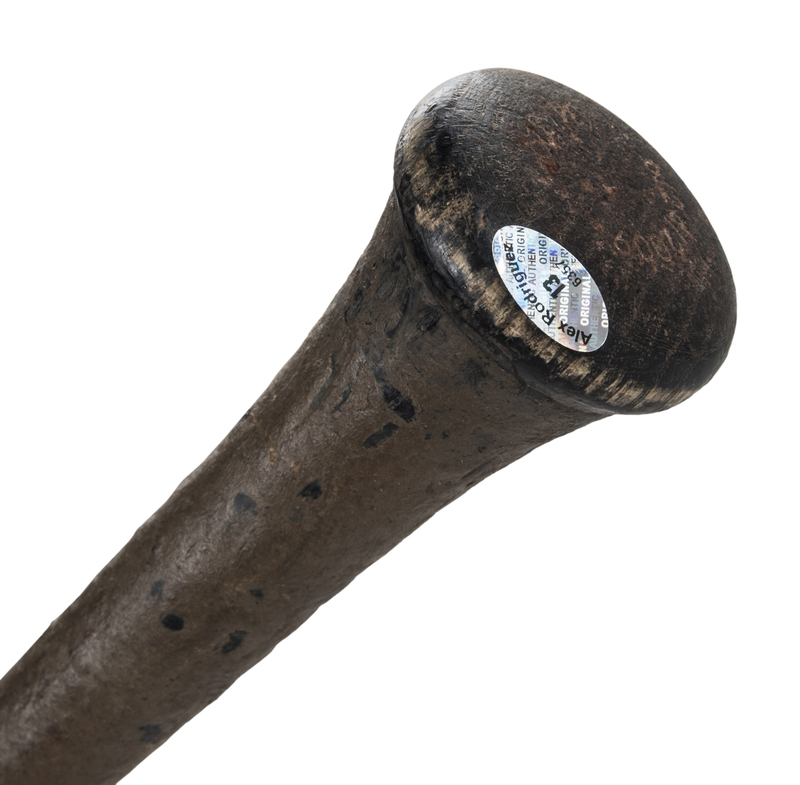 There is a heavy coating of Mota Stick on the lower handle and a coating of pine tar on the lower barrel. “6/24/2009” and “34/32oz” is stamped on the knob, indicating the date of manufacture, length and weight. 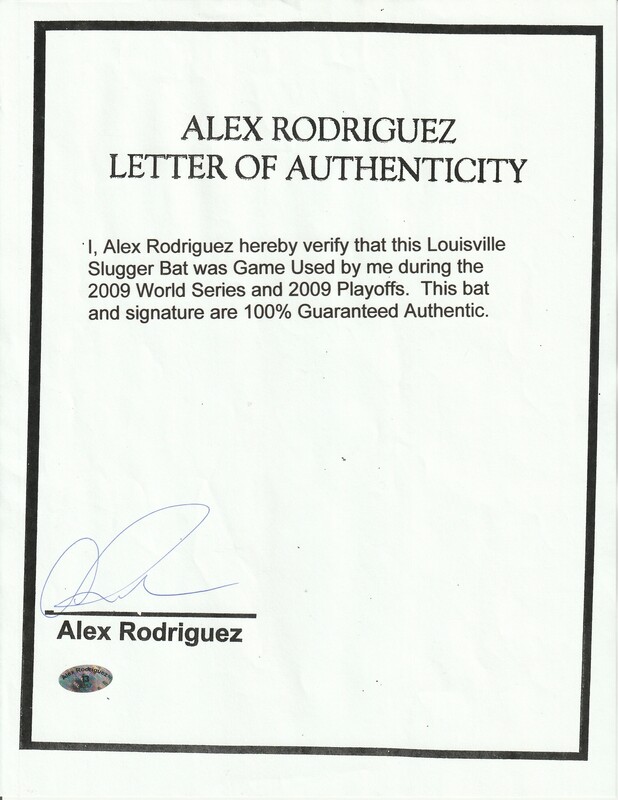 Rodriguez has signed his name in silver marker across the barrel and inscribed “Post Season Playoffs + 2009 World Series”. This incredible bat comes with a LOA from Alex Rodriguez with “Alex Rodriguez 13” holograms on the top barrel and the LOA with the ID #6357. 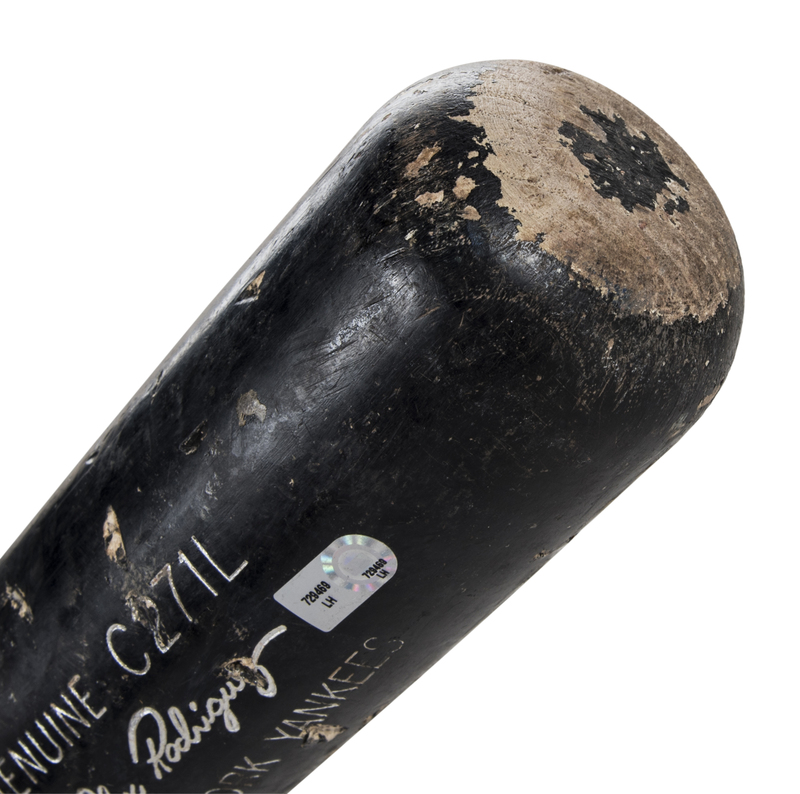 There is an MLB Authenticated hologram LH729469, which refers to this bat as “Team Issued” – a common designation for MLB Authentication for items collected after the season. 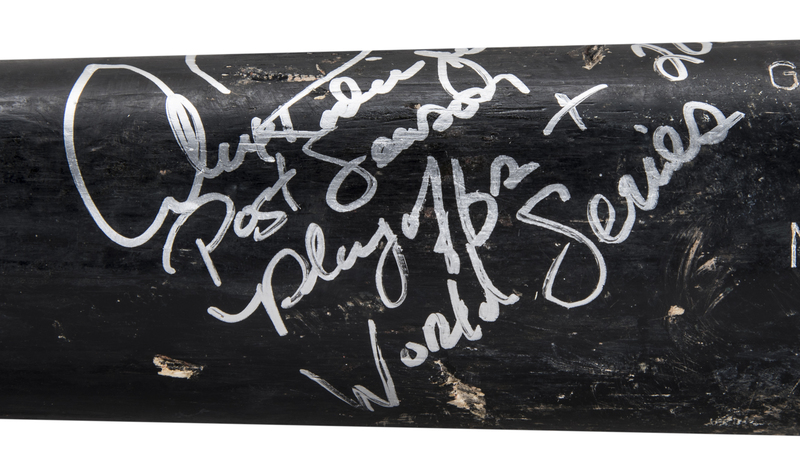 Also included with this lot are pictures of A-Rod signing this bat.